Digital transformation requires highly integrated ITSM solutions! BMC Remedy ITSM customers have the need to interface the solution with a large number and changing partner ticketing systems. Most time this is challenging and customers develop individual interfaces one after another. VIPCON E-Bonding Runbook for BMC Atrium Orchestrator is the only tool to create interfaces based on standards without customizing. 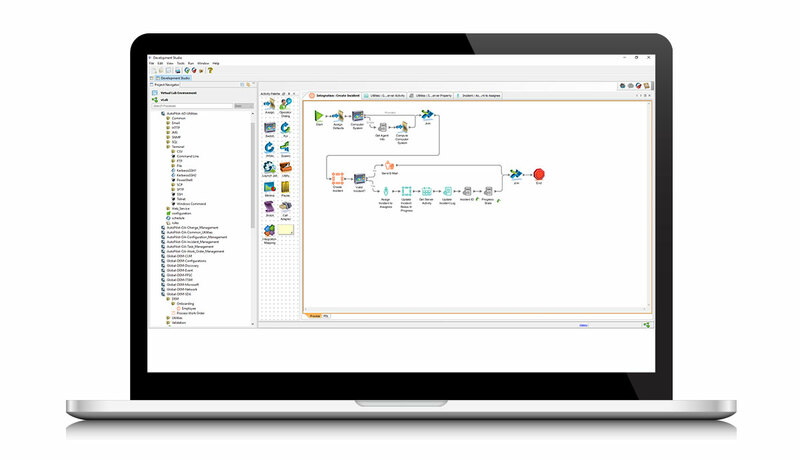 Integration capabilities of the ITSM Suite based on the automation platform BMC Atrium Orchestrator are extended massively. E-Bonding Runbook makes the integration of partner systems faster, easier and reduces implementation effort massively. Every interface can be implemented within 10 days.